Recommended daily allowance is 2 capsules 3 times a day after a meal. Wash down with approx. 300 ml of water. Unlike powdered spirulina, whose flavour and smell might not be very appealing, spirulina in capsules is a brilliant solution. It is easy to swallow and can just be washed down with water. The dosage recommended by the producer is optimal. It can be divided into a few servings and taken a few hours apart. 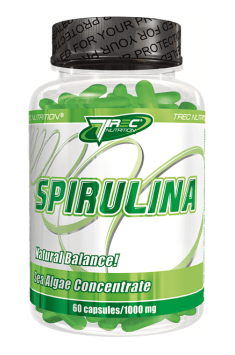 Spirulina is a natural and safe product, so it can be included in daily supplementation.